Renault is giving its light commercial vehicles 'Extra' with the launch of a special edition range, available until 30 June. There's also £300 off all orders placed in March. boosting them with around £1,500 of extra equipment compared to the standard model, including luxuries such as air conditioning, reversing sensors and satellite navigation. Prices for business owners, including this month's promotion, excluding VAT and on-the-road charges, are £9,395, £11,395 and £15,195 respectively. On the top of these three bonus items, the two new Kangoo Vans in the range also come equipped with a full steel bulkhead, which is already standard on the Trafic and Master. Efficient, clever and flexible, the striking Kangoo Van is ready for work, especially when connected to the Renault R-Link multimedia system. This system incorporates integrated TomTom Live satellite navigation, plus numerous clever functions, such as advance warning of hazardous zones and the ability to download applications like the reading out of e-mails. Available with the responsive, yet economical 1.5 dCi 90 engine, returning over 61 mpg combined, drivers can reduce fuel costs even more using the visual gear shift indicator and ECO mode. The current Renault Trafic van has been specifically designed to meet the needs of modern-day professionals, whatever their business environment. Versatile and practical, stylish yet protective, it benefits from quiet, efficient engines and high levels of comfort. Practical, robust and economical, the Renault Master is the quintessential LCV, and can adapt to the most demanding requirements. For driver comfort and to help prevent accidents, it boast high levels of active and passive safety equipment, including ABS brakes with EBD (Electronic Brake Distribution) and Brake Assist as standard. Spacious, welcoming and comfortable, the Master makes travelling smooth and relaxing with a cabin that exudes professionalism. 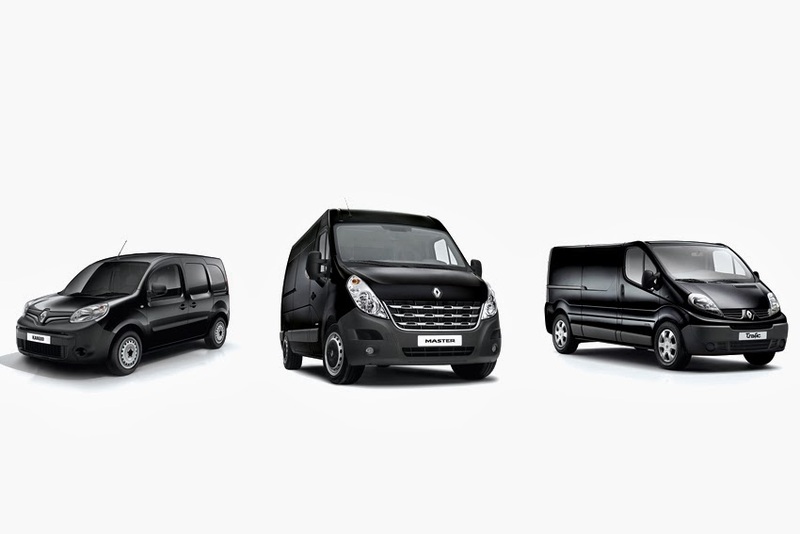 Along with all new Renaults, the LCVs also benefit from the brand’s award-winning four years/100,000 miles warranty and roadside assistance.